All My Happy Endings: IS IT FRIENDSHIP? Does your church have themes? Our church develops sermons and conversations around a given theme, which might last 4-6 weeks, and currently, the topic enveloping us is friendship. And what an eye-opener it has been. That’s been asked of the congregation on more than one occasion. And it resonates with me. Let me first say that friendship is paramount to me. I cherish my friends, and I’m always open for God to forge new friendships in my life. 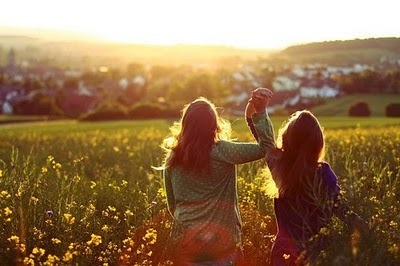 For me, friendship is one of the most treasured things in life. However, as I slowly but surely mature in my faith, I’m learning all the time about the differences of real friends vs. fair-weather friends. My real friends lift me up, encourage me, and all that wonderful stuff. But above all, they hold me accountable – they love me enough to share the Word and warn me of my unrighteousness. They don’t put me in harm’s way or lure me into situations that might not be pleasing to God. It can be hard to tell people the truth about themselves, but doing so is what separates a real friend from a not-so-real friend. The Bible puts it this way: "Faithful are the wounds of a friend; but the kisses of an enemy are deceitful" (Proverbs 27:6). Cancer left unchecked will just continue to fester and grow until it brings death. Sins left unchecked will just continue to fester and grow until it brings death. Silence is not always golden. "Open rebuke is better than secret love" (Proverbs 27:5). Now, I'm asking myself, 'what kind of friend am I?" I love this post! It's so true- I've been realizing who my true friends are more and more as I grow up. I want to be a true friend that brings others closer to God, not further away. Love this! I recently had to cut out a cancerous friend for these same reasons. It was not fun at all, but my life has been so much better since then! This is so great, Mandi! It really speaks to true love. True love is not always saying what someone wants to hear, but loving enough to warn them when you see them willfully sinning and going down the wrong path. This is great and so true. That is the kind of friends we need.